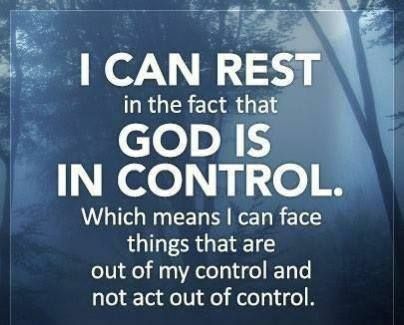 Today, I want to talk about this valuable Christian trait we should all exhibit in our walk called “Self-Control”. I think that as Christians, we need to exhibit this trait more and more as the world we are living in is getting darker and darker and evil seems to be prevailing. It’s easy to be reactionary and emotional to everything that seems to be rocking our world, but as Christians, we need to be of sound mind and work on strengthening our ability to have self-control. 7 For a bishop[a] must be blameless, as a steward of God, not self-willed, not quick-tempered, not given to wine, not violent, not greedy for money, 8 but hospitable, a lover of what is good, sober-minded, just, holy, self-controlled, 9 holding fast the faithful word as he has been taught, that he may be able, by sound doctrine, both to exhort and convict those who contradict. Does the way in which you conduct yourself and the way in which you live cause people to be convicted about their way-ward lifestyle? Does the way you treat people draw people to want to be more Christ-like in their actions on the basis of how you conduct yourself? It’s one thing to evangelize about your belief in God to others, but if our actions don’t match our belief system, then we are but a clanging cymbal with no sense of harmony in our lives who cannot draw people to a closer relationship with God. [ The Greatest Gift ] Though I speak with the tongues of men and of angels, but have not love, I have become sounding brass or a clanging cymbal. 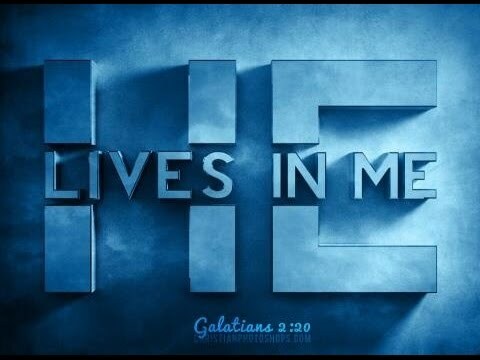 It should be obvious on the surface of things concerning where you stand as a Christian. If a person looks at you and can’t figure out where you stand in terms of your faith, then I think that speaks volumes as to how we portray ourselves. Our conduct must match our belief-system. This doesn’t necessarily mean that you’ll be perfect at it at all times; however, we must strive to be like Jesus in our actions as we walk and grow from faith to faith. The more we learn about Jesus, the more we can become just like Him through our actions. We have to grow in our faith in order to act on what we believe. There will be people in your life that will test your patience, ridicule you, offend you, persecute you, lie to you, hurt you physically, sexually or emotionally, and do things to throw you off-course in terms of your faith in God. However, you can overcome all these schemes by understanding that you don’t overcome such things with might and power, you overcome such schemes by having the mind of Christ as you build on developing wisdom and self-control. I have been through a lot in my life and have seen that had I not found God at the time that I did, I’d probably be dead right about now. The Grace of God is so amazing in that He has kept my sanity intact. I’ve seen things, been through some tough things that not many people should have to experience at such a young age whether it be health related issues, spiritual attacks or even physical attacks from people. I have witnessed the deeds of evil men and women that make me feel some level of trauma/PTSD in that the Lord shows me things I do not always wish to see in people’s eyes. There are times when God opens up my spiritual eyes to see into people’s souls and when I see the evil that lurks there, it just makes my skin crawl and shudder. I think the worst I’ve ever had it was when I lived in Kenya with my grandparents who were diplomats; I’d never seen so much evil in my life that I was happy to leave that country and head out to China. I’d experienced so much spiritual warfare and spiritual attacks while living there that I thought at some point I would die there. I praise God everyday for His saving grace. It’s not easy to develop self-control, but I can tell you that having self-control enables you to endure difficult trials and helps you develop a high level of wisdom when confronted with unmeasurable evil. It also enables you to protect yourself and protect your family when you apply wisdom through your actions. My Grandpa taught me to be careful concerning how you treat your enemies, because you never know when they might do something to harm you the next day. How true his warning was, because I’ve seen other families who worked for the government be destroyed by the way they either mistreated others or be destroyed because they lacked discernment with respect to who they entertained as “friends” versus “foes”. That’s the type of life I lived in since I grew up with my grandparents who were diplomats. It has been a humbling life and I guess God allowed me to live this life to grow stronger and mature with respect to how to treat people with the mind of Christ. This is why I emphasize on building upon spiritual discernment as a Christian, because the days we are living in are quite evil. We cannot afford to be suckling on the milk of the Word (The Bible) when we need to be chewing on the very meat of God’s Word (The Bible). We need to personally pursue to grow from strength to strength and from wisdom to wisdom so that God can help us to bring others into the full knowledge of who Christ is to us and how we can be redeemed. So my prayer for anyone reading this blog today, is to continue on with your pursuit of righteousness, pursue Godliness as a way of life and pursue to grow in spiritual discernment so that you are able to confront whatever issues of life gets thrown your way and be successful in terms of spiritual warfare. You need to know how to confront your battles wisely and learn to act justly so that you can draw people towards the path that leads to Jesus Christ, Amen! I have a song by Jeremy Camp called The Answer. I pray that this song blesses your spirit today. God Bless You everybody!